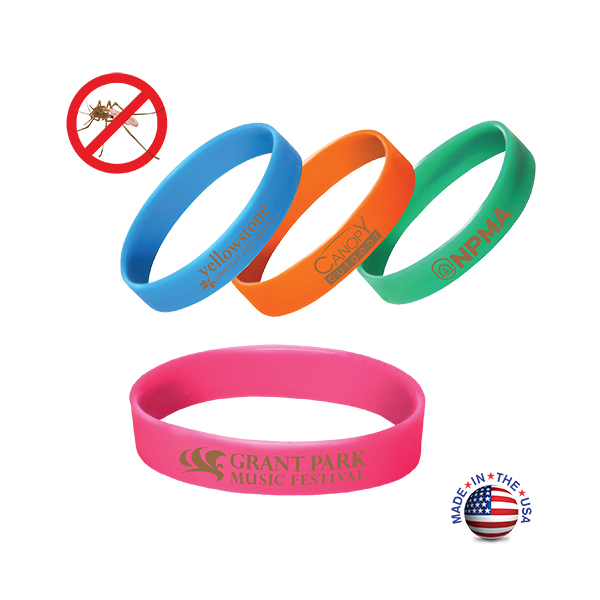 For folks who love to be outdoors but don't like being "bugged" by those pesty insects, give them your personalized Insect Repellent Wristbands. The repellent in these wristbands lasts up to 168 hours or 7 days and are reusable! Simply place in resealable bag when not in use to last longer. Custom print your contact information to promote your business. Your custom laser-engraved imprint appears on one side in a brown color. Call or Text 706-258-7041 for Customer Service, Design Assistance and a FREE Quote. Size: 1/2" H x 7-1/2" Circumference; One size fits most. Imprint Area: 3/8" H x 3" L. No more than 2 lines of text. Due to the nature of the printing process, overly bold or complex logos may not print well. Text is recommended.